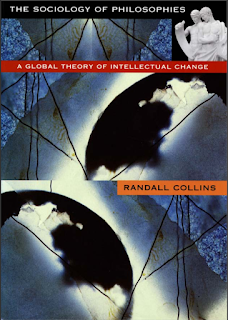 Randall Collins, in his book The Sociology of Philosophies: A Global Theory of Intellectual Change, (Chapter 12: "Intellectuals Take Control of Their Base: The German University Revolution"), notes that one of the themes of the Enlightenment was the death of traditional philosophy (metaphysical speculation and anything connected with supernatural religion) and its replacement with empirical science. Yet the post-Enlightenment period saw one of the greatest outpourings of philosophical thought in the history of mankind. Immanuel Kant opened the door to this outburst of philosophy in the form of German idealism in 1781 with the publication of his first Critique. The rise of German idealism coincided with the rise of several new universities in Germany and other parts of Europe. Such a large network of universities had never existed before.